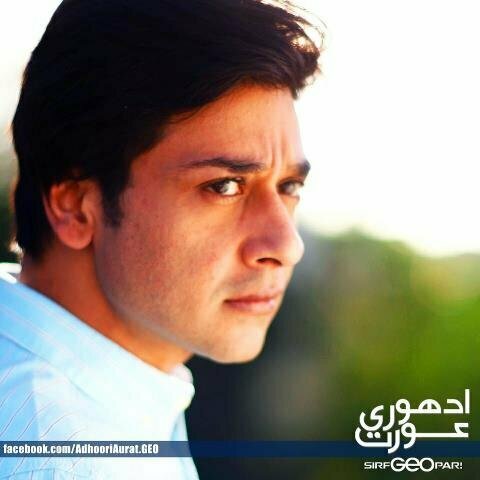 “Adhuri Aurat” is a good omen in the drama history of Geo because with it and Virasat, it is competing with its contemporary foreign drama trends in Pakistan. The alien drama fashion in Pakistan is on its peak these days; viewers are force to watch a foreign culture, tradition and lifestyle. In this crucial time, a local drama works like oasis in the desert. Adhuri Aurat is a hope for Pakistani play-lovers. It presented from 16th April, 2013 like a bang and conquered all hearts with mind blowing performances and lively script. 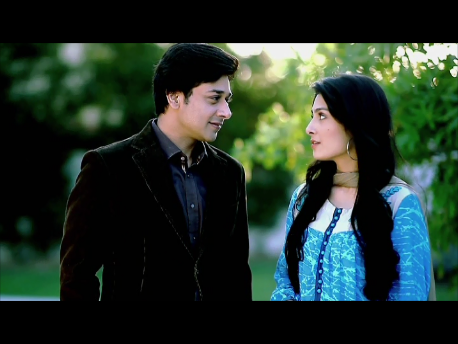 It is greatly encouraging that Pakistani dramas are regaining their lost charm once again. “A woman is another’s foe” is its theme. Mariyam is a young, sweet-faced girl. She has a small family. And have pure eastern thoughts and values. Seeing her innocence and purity of heart, doctor Umair asks for her hand. She agrees to it for the happiness of her parents. Soon after the proposal, she began day-dreaming of her happy life with Umair. But her dreams remain dreams and nothing else because one day, she finds Dr. Umair with another married woman, Saira. This incident shakes her so hard that she stops believing men anymore and forsakes the dream of getting married and having a family. She moves on in life and becomes a teacher for poor children. In her institute, she meets the only son of Nusrat and Afshan’s brother, Zayan. Although from a high class background, Zayan is mentally very traditional. He does not like ultra-modern girls rather his dream princess is a woman with traditional values and concepts. So he chose Mariyam at first sight as his life-partner. So the love sicken Zayan proposes her and she agrees as Mariyam also trusts him now. They get married without anyone else’s approval, enraging a lot of people. This rage costs her very high as there is a huge number of people playing tricks behind her back such as Faiza, Zayan’s one-sided lover, Dr. Umair, whom she broke with, Nusrat, her mother-in-law and Afshan, her sister-in law. She is all alone to save her married life, she has to struggle hard to save it. There is a whole series of plots and conspiracies for her to fight with, will she ever be able to push them off?